So, instead of immediately dousing your work fire with metaphorical water, take the time to stop, assess the situation, and really understand what’s going on first. Then, take a step back and make the time to do the following five things to eliminate marketing chaos moving forward. If you’re one of the approximately 50% of organizations that don’t have a digital marketing strategy, or if you just don’t have a marketing strategy in the first place, there are many resources online to help you get started. Jonathan Chan with Foundr Magazine walks you through the process in detail, from understanding your competitors and target customers to breaking down your sales funnel, determining which channels to pursue, and setting clear goals. Next on the list is turning your marketing strategy into an actionable plan. This should be a transparent process involving various stakeholders — both within and outside of marketing — to help ensure buy-in down the road. It should also support your overall marketing strategy, which itself supports the overall business strategy, so everyone understands how what they’re doing supports the larger mission. Assign ownership to each component of your strategy and let your team run with it. They will identify how best to meet your objectives by breaking out each project and campaign into concrete deliverables, timelines, and expected results. They’ll also provide visibility and attain buy-in from their respective stakeholders, which brings full transparency into the planning process. Once your team members have put together their individual marketing plans, it’s time to execute. How well they execute on their plans, though, comes down to the foundational structure that’s been put in place along with a well-defined process and streamlined workflows. Project Management Tools: Stay on top of projects with tools like Asana, Clarizen, Jira, LiquidPlanner, Podio, Trello, Basecamp, Workfront, Wrike, Slack, or even a spreadsheet in Google Docs. Some of these tools let you create repeatable workflows so your team isn’t reinventing the wheel each time. Document Management Tools: Use a system such as Box, Dropbox, Microsoft OneDrive, Microsoft SharePoint, or Citrix ShareFile to store and share access to project files. Content Management System: Make it easy for your extended organization to find and use existing content, graphics, and approved templates using a CMS such as Uberflip, Drupal, Kapost, Curata, or LookBookHQ. Another timesaver is templatizing your marketing assets, making it easier for others — both in marketing and in sales — to customize or create new content while staying on brand. You’ve kept the strategy and planning process open and transparent, so don’t lose that when you get down to doing the actual work. Those back-and-forth content and design reviews with multiple stakeholders, as well as ad-hoc phone conversations, emails, and meetings, can stretch out timelines. The workflow capabilities provided by a collaboration framework, such as a Marketing Operations Management system or project management tool, help keep team members on task and let other team members step in and carry a project forward if someone goes on vacation or leaves the organization. Most of these platforms also let you attach all relevant files, giving everyone visibility into the status of a project or campaign. Using technology to assign tasks and manage the review process provides real-time visibility to all stakeholders — including external creative agencies — and shortens review cycles. It also improves communication across your organization. Given that poor communication costs companies an average of $11,000 per employee each year, these tools can also lower overall costs and increase predictability in hitting milestones. If you’re not planning your marketing strategy and key initiatives based on actual numbers, you’re continually operating in the dark. The key to turning the light on is to measure key operational metrics, and then taking those insights to optimize as you go. 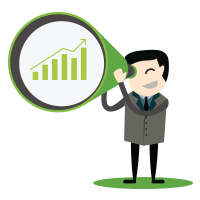 Marketing Operations Management systems make it easy to create and automate marketing dashboards. These dashboards provide visibility into campaign performance, making it easy to spot campaigns that aren’t on track. You can also quantify how many MQLs the marketing team provides (and how many leads the sales team actually accepts) and how much revenue marketing is contributing to the sales pipeline. In addition, you can compare planned vs. actual expenditures and view future budget commitments to ensure you’re on track for the year. While most companies have established defined processes and controls for their most critical functions, few have successfully transformed their entire organization into a process-driven culture. In fact, they continue to rely on a multitude of ad-hoc workflows to support the organization. 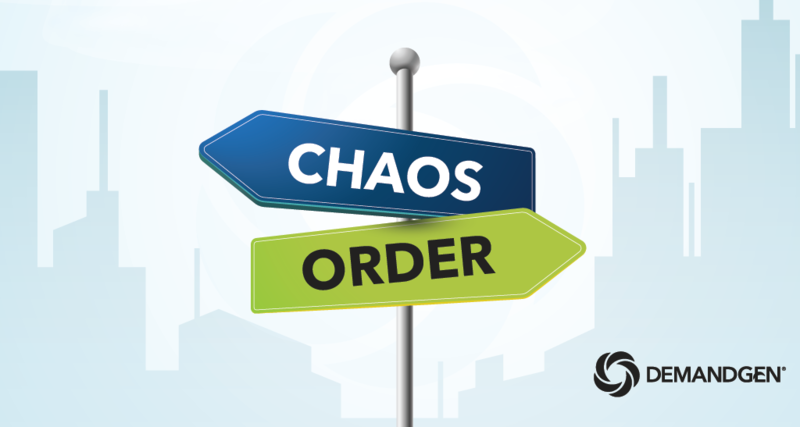 The key to eliminating marketing chaos is to develop and implement repeatable processes and workflows, and refine them over time with the help of technology. Marketing teams that commit to the implementation of continuous improvement programs built around a culture of operational excellence can bring transparency to the marketing planning process, get campaigns out the door faster, and prove their value to the organization. 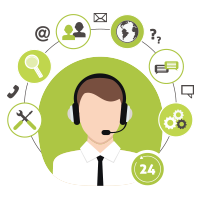 We at DemandGen are here to help, whether it’s creating processes and workflows, managing campaign execution while your team focuses on more strategic endeavors, or developing reporting and analytics. Let us know how we can help! Great article. In my experience, chaos started when the sales team started doing their own thing, ignoring marketing leads, repurposing our messaging and presentations, and doing whatever it takes to book the deal before the end of the month. It took almost half a year to realize there was a problem, identify it, and finally fix it. Keep up with the great content. Thanks for your note Anthony!